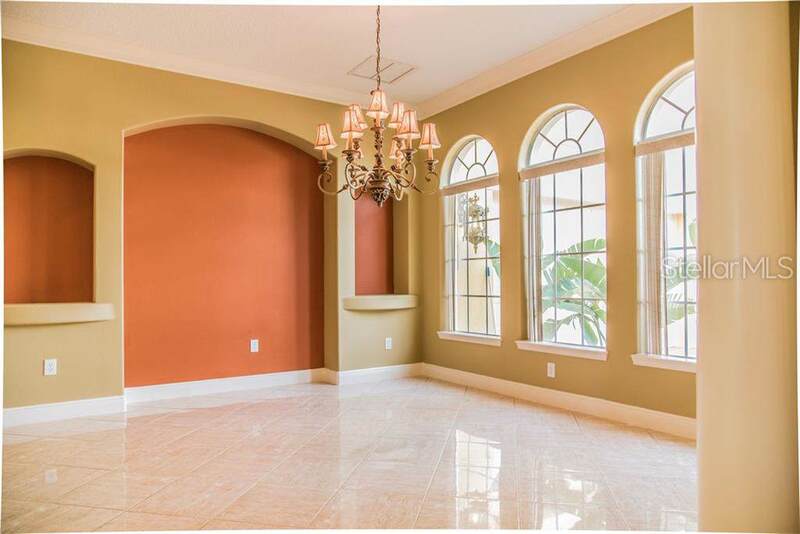 Owner is eager to sell this Luxurious Estate Semi-Custom build Residence with 6 bedrooms/5 Bath luxury home of 5345 Sq.Ft. of living space and 3 car garage with extended paver driveway. One year NEW Home Owners Warranty Included for all the Appliances/heater/AC units etc. 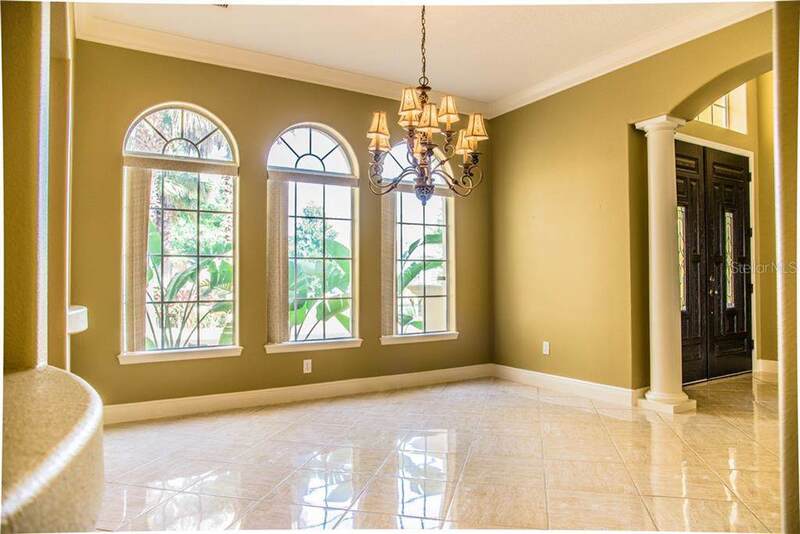 As you enter the foyer you are greeted with open bright elegance, soaring ceilings, ceramic shining tiled floor, round wall corners, arched entry ways with grand columns, crown molding. Beautiful Kitchen with granite countertops, stainless steel appliances, center island and a large dinette area which opens up to the family room. The family room has a built in entertainment wall with wood burning fire place. Master bedroom suite has custom walk in closet. The master bedroom continues the elegance w/a large walk in shower, jetted tub and large vanity with dual sinks. Downstairs you will find an office/bedroom and pool bath. 2nd floor has loft area with 4 bedrooms/3baths and a large game room over 3 car garage with built in entertainment wall that can hold over 80" TV screen. Enjoy the outdoors on your screened in paver lanai featuring a covered space and a private pool to enjoy Florida summer. A nicely built home by ABD builders who believe in quality. This home is priced below its market value for a quick sale, so bring all reasonable offers!! 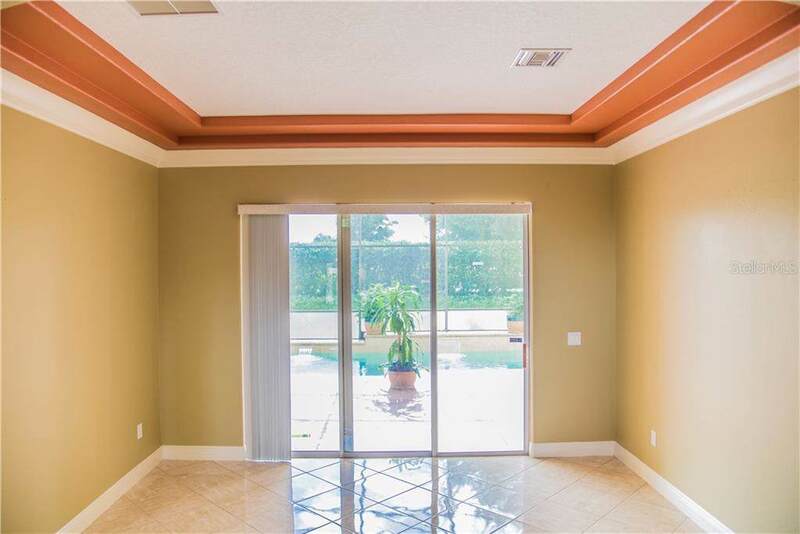 Seller will assist in closing cost with close to full price offer OR replace the Carpet throughout the house.